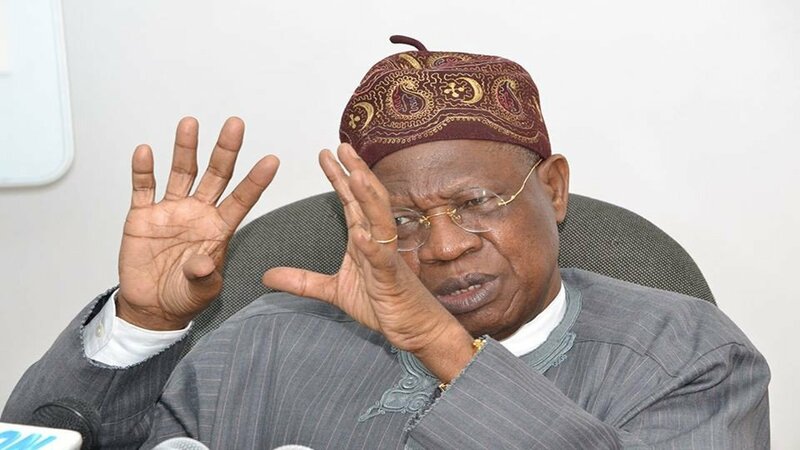 Home / news / politics / PDP Blast APC & Lai Muhammed - You Cannot Censor The Media "Its Called Freedom Of Speech"
PDP Blast APC & Lai Muhammed - You Cannot Censor The Media "Its Called Freedom Of Speech"
The Peoples Democratic Party, PDP says the Minister of Information, Lai Mohammed, cannot censor the media to downplay the failures of the President Muhammadu Buhari-led administration. The truth is, the administration have failed and trying so hard to censor the media. The party said APC's attempt to gag the media is pathetic, as no amount of censorship or bandying of false figures would stop Nigerians from reflecting on the real state of affairs in our country today. PDP National Publicity Secretary, Kola Ologbondiyan, in a statement on Thursday, described as scandalous that the Federal Government is attempting to slander the media and sway it with cooked-up figures, forgetting that media practitioners are also Nigerians, who are direct witnesses and victims of the woes of the APC as a party. Nigerians were shocked to watch the Minister of Information attempting to censor the media and sell unverifiable statistics to the media when a TV Continental (TVC) team visited his office on Tuesday. We hope the minister saw the faces of his audience as he was reeling out his faulty statistics. Nigerians know that the APC has failed and that the Buhari-led Presidency is directly responsible for the collapse of our economy, which was thriving under the PDP. They know that the torrents started buffeting the nation from May 29, 2015 and no amount of propaganda and futile efforts to censor the media by the APC will change the facts. While we note the minister’s snap that the media should contextualize their reporting, we ask; how else should the media contextualize the sudden collapse of the economy with the naira tumbling from N197/I USD in 2015 when PDP handed over power, to N360-N400/1USD, without placing the blame at the door steps of President Muhammadu Buhari and his dysfunctional APC? How else should the media contextualize the fact that under the Buhari Government, over 8 million Nigerians lost their jobs between 2016 to 2017; 16 million were unemployed, 18 million more were underemployed, while another 27.44 million refused to work in 2016 for various reasons related to frustration in the polity? How should the media contextualize the soaring costs of food, the rise in inflation rate from the N13.7% in May 2015 to the current 15.37%; the rise in fuel price from N86.50 under the PDP to N300-N400 per liter under the APC; the escalating of our foreign debt to $15.2bn, representing a 40% increase under President Buhari’s three years in office in addition to the pile-up of domestic debt which has scared away many contractors off their sites? How would the APC want the media to contextualize the slaughtering of Nigerians in various parts of the country by marauders while its Federal Government refused to take any concrete steps to bring the perpetrators to book? Sadly, instead of the APC to be sober and remorseful for its failures and seek help from well-meaning Nigerians, it is busy reeling out false indices while monitoring phone calls of journalists and other Nigerians under the guise of fight against hate speech. In all, the facts speak for themselves, the APC has wrecked our nation and its resort to propaganda and false indices will not help as Nigerians are now rallied with the repositioned PDP, ahead of the 2019 general elections, to rescue and return the prosperous days when our citizens once held their heads tall among other citizens of the world.